What do I get for $15? GEEZ GUYS THE YOUTH GRANT STUFF HAS ONLY BEEN UP AND POSTED IN THE MEMBERS SECTION SINCE JUNE LAST YEAR!!!!!!!!!!!!!!!!!!!!!!!!!!!!!!!!!! "An armed man is a citizen,..an unarmed man is a subject!" gosh darn Beav , remember your dealing with old senile guys and it takes us a lot longer pull this information up , and even longer to read it . 2. Individuals that not only enjoyed the "sport", but were determined to keep it TRADITIONAL. I liked what I saw & being "old fashioned", I decided to "support" the TMA. ( after all I was "taking up a stump & sharing a few "cups" & in my "world" you support Your "camp". I paid the "paltry" $15.00, got a couple of GRMMers to join ( also got a "bumper sticker & a "paper Mem. cd. ) & went from there, growing, learning,making some life time Friends & NEVER regretted it. We have come a LONG WAY & are still growing, but the Main reasons, I spent $15,00 ( & renew ), Have NOT changed. I also get to belong to an association that is providing our youth with an opportunity that they would probably never get the chance to have, and that opportunity is shooting traditional style muzzleloaders on a regular basis. We, the TMA, have provided 8 traditional muzzleloading rifles and shooting accesories to 2 different youth organization's. Nothing feels better to me than getting our youth involved into the traditional side of living, giving them some skills that they would never have a chance to learn. This is what the TMA is all about. That right there will make me send in my $15 every year, without a question as to what the TMA is doing for me! Re: What do I get for $15? THE CERTIFICATE OF MEMBERSHIP ON DISPLAY IN THE OFFICE IS A GREAT CONVERSTION STARTER EACH ONE HAS A MEMBERSHIP NUMBER. THE SAVINGS FROM RETAILERS LIKE SHEAS MOUNTAIN MORE THAN MAKE UP THE FIFTEEN BUCKS, NOT TO MENTION THE MEDAL, MEMBERSHIP CARD AND DECAL. YOU SHOULD REALLY ASK WHAT CAN I DO? TMA: TMA Co-Founder, Charter Member, BoD. around the campfire with all of you, but this does fill a big spot in my heart. TMA will be with me always till I go under. And I hope not any time soon...! "If you come to a fork in the road....take it!" Among others things. I get my name in blue. Keep your nose in the wind. This topic is about seven years old, but I would like to bring it to the top again, because it reflects so clearly who we really are and what we really do. It also brings to light our successful Raffle that was just recently held....along with another year of absolutely great donations from a caring Membership. That, along with a very nice Flint lock from the TMA, made for yet one more successful year in our TMA Grant Program. The key to every successful Membership Organization is to be found in the members themselves! Recommend us to your buddy, to other family members, and the neighbor down the street. Have them visit the TMA forum, and help them become a TMA Supporting Member. We are always in need of supporting members, without those that really care about our future in this wonderful sport we become "just another Internet Forum", and that is simply NOT us. It does not define us, because we do care, and because we are concerned about the future of the sport, and in the future of our youth who will someday follow in our foot steps. We can have everything else in the world, but without a membership that cares enough to support us, we have very little. So step-up, bring the year 2019 in with a Membership to the TMA! Show your support while promoting this interesting Hobby, plus helping the kids. Is your name in "The Hat" for the FREE $50 Gift Certificate?? Anyone interested in becoming a "On-Site TMA Rep." , contact me! It's the many things we don't do that totally sets us apart. TMA: Co-Founder & Board of Directors. Besides the things already previously mentioned, Contributing TMA Members also qualify for our TMA Bi-Monthly Drawings in which contributing TMA Members can enter their names (every-other month), for a chance to win a $50.00 gift certificate to places like TOTW, and Crazy Crow. 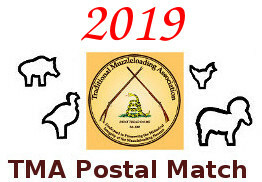 TMA Guests and Contributing TMA Members,.... if you haven't already,.... click on the link below and check out our TMA Member Raffle & Bi-Monthly Drawings forum. "An honest man is worth his weight in gold"
For only $1.25 per-month, you too can help preserve our traditional muzzleloading heritage. Talk about serendipity , yesterday I was thinking about posting a thread about everything I like about our forum . Today Uncle Russ gives me this wonderful segue. What do you get for the price 2 Starbucks coffees? You get to keep our sport/passion alive for future generations. You get the comradrie of like-minded enthusiasts. You get knowledge and to share knowledge with experts and novices alike. You get a non-judgmental forum to ask question and share ideas. We all know there are other muzzleloading forums out there but ours is different. We don't get tongue lashed for sharing different opinions, we don't get walked over in our posts. We get respectful answers to our questions and constructive feedback on our ideas. I was reading a post about patch knives in another forum, the original question was answered in 4 posts. A few of the "Experts" dogged each others answers for an additional 70 odd posts. I have neither time or inclination for that nonsense. Our board members, and moderators and membership are the best. AND we don't have to put up with intrusive off-subject advertising . P.S. I was just guessing about the price of Starbucks Coffee , I can't stand their stuff. I'm not H/C or P/C or even a particularly good shot but I have a hell of a good time! This forum for 15$! Which is a far cry friendlier than a few others and sure better than Facebook trolls any day. What do you get for the price 2 Starbucks coffees? No wonder I don't buy Starbucks coffee! I plumb can't afford that! But yes, this has to be one of the friendliest, best run sites on the Internet.